We all have long days where joy seems far away. Keep these scripture cards close to your heart just for times like that. This printable pack includes two pages with 12 verses that will remind you of the joy Christ brings to your life. Also included is a journal sheet and printable wall art all designed to keep your heart joyful and calm. We all need that little reminder sometimes. Here on Talking Mom2Mom we often discuss how to find joy as moms. In the midst of all the housekeeping, homeschooling, working from home, and the myriad of other things we do as women, wives, and mothers. Joy and contentment are desired but often feel unattainable. Joy and contentment can only be found in Christ. It is the resting in Jesus when times are tough that give us an inward peace that ignites joy, but it is the expression of His love toward others that fans the flame of joy in us. We have a beautiful set of Scripture cards for you to print and use as a way to encourage joy centered in Christ in yourself and in others. Each of the 12 Joy Scripture Cards contain a Bible verse on joy with an encouraging affirmation for you. Also included is a beautiful “I am Joyful” print that can easily be trimmed and set into an 8×10 frame to display and enjoy. Staying in God’s Word is a crucial part of obtaining and sustaining joy in our lives. Utilize the Bible journaling tool included as a way to focus on what God is impressing upon your heart on a weekly or monthly basis. Add Scriptures you desire to memorize and meditate upon, those things for which you are grateful, and prayer requests for which you are interceding. We pray that this set will help direct your heart to God and His Word, but we also would love for you to consider the many ways that you can share God’s Joy with others through the truth contained in these cards. Do you have a teenager in your life who is struggling with her identity? These scripture cards are the perfect gift to affirm her worth and help her memorize Scriptures that will ground in her in Christ. For teens also check out our Journal of Thankfulness and Loving Hearts Project! Consider giving a Finding your Joy in Christ Scripture set to a friend. An Encouraging Gift for any Day of the Week! Joy and contentment in Christ can feel elusive at times, but when we consistently repeat the promises of God to ourselves and review who He says we are in Him, the Holy Spirit will weave joy into our soul as we reflect on the wonderful hope we have in our salvation through Christ Jesus! 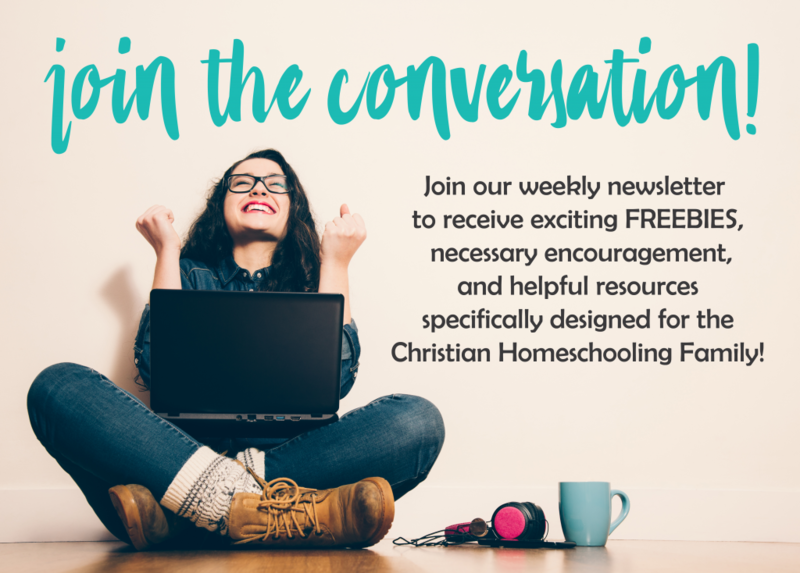 Make sure not to miss our podcast on 4 Things that Steal Your Joy in Homeschooling here!